A study by Forbes has identified the top 10 YouTube earners. How the numbers were calculated: All earnings estimates are from June 1, 2017, through June 1, 2018. Figures are pretax; fees for agents, managers and lawyers are not deducted. Earnings estimates are based on data from Captiv8, SocialBlade and Pollstar, as well as interviews with industry insiders. Ryan’s just like every other 7-year-old: He loves Legos, trains, cars—and his 17 million followers. His latest mini-mogul move: a line of collectibles and more, now selling at Walmart. The boisterous younger brother of disgraced Logan (No. 10) earned a career-best income from his thriving merchandise business. He attracted more than 3.5 billion views of his rap songs and goofy pranks over our scoring period. This five-man sports crew (Coby and Cory Cotton, Garrett Hilbert, Cody Jones and Tyler Toney) specializes in feats of dexterity and intricate trick shots— say, hurling Ping-Pong balls that trigger domino-falls of Oreos, which garnered 175 million views). Last year’s top earner at $16.5 million—Daniel Middleton, a British gamer who specializes in Minecraft—has been playing on-camera for six years, amassing a following of 20.7 million, who shell out for his tour and merchandise, which includes backpacks, baseball caps and hoodies. The makeup artist, famous since the Myspace era, has reinvented himself as a beauty mogul, cofounding Jeffree Star Cosmetics, which sells an estimated $100 million–plus of eye shadow, lipstick and highlighters annually. Hawaii-native Markiplier is on his PS4 nearly all day everyday—but he’s not bumming around. The gamer toured North America, signed seven-figures worth of brand deals and, with No. 8 Jacksepticeye, recently launched Cloak, a high-end athleisure line for gamers. Witty Canadian gamer Evan Fong plays mainstream titles like Call of Duty and Assassins Creed . On the side he’s launching a hip-hop career, but music (so far) isn’t proving nearly as lucrative as the subtle art of being a couch potato in demand. Foulmouthed, energetic Seán McLoughlin is the most popular YouTuber in Ireland thanks to his colorful video-game commentary. A few bad words haven’t kept him from going mainstream: He did a series for Disney and is developing exclusive content for live-streaming platform Twitch. Scandal hasn't stopped Felix Kjellberg, the Swedish gamer who is the most followed YouTuber (72.5 million followers). Despite a backlash last year after a rash of anti-Semitic videos, advertisers have returned, shelling out up to $450,000 for a sponsored video. In January 2018, the 23-year-old elder Paul brother was kicked off YouTube’s Google Preferred program, which gives favorable ad rates to popular channels, after he filmed a video in Japan that showed an apparent suicide hanging from a tree. He apologized. His income from videos (pratfalls, pranks) and brand deals took a hit, but loyal fans kept his hefty merchandise business afloat. Well done to everyone (except not so much for Logan Paul.....) ! First of all...a big CONGRATS to Ryan's family! Second... Very interesting information, I've been doing a little research on this subject for a presentation I need to give in the New Year. I suspect that the wealthiest YouTuber of all is actually not on the list, since most of her income comes from other sources. Forbes estimate that beauty vlogger Huda Kattan has a net worth in excess of $500 million. She is evidently a very smart business woman. Her YouTube channel is estimated to "only" make her about $130K per year, but she has cleverly leveraged it to sell beauty products that are manufactured under her own brand. She's only been going since 2010...I predict she will be the first YouTube billionaire! Wow. Many gamers. That explain the explosion of new gaming channels i guess?! Eh. No artists of any kind in the list, huh? Where is Fitz, I need to see Fitz! Sometimes I wish the YouTube business was a little bit more fair, and we could see channels on this list that put lots of effort into their videos to produce, not just lots of money. The only people I see on the list that put lots of editing time and effort into their videos is maybe Pewdiepie, pry around half of his videos actually have really good editing work, and if your stretching it maybe Vanoss, he makes up in the effort department with his animated videos that he has. I knew I should have continued with my childrens unboxing channel! I joke as it was too stressfull for me and my children.. Some great earnings can be made from having just the right recipe. Hmm what should my next channel focus on? I don't know of Captiv8 or Pollstar but if they are only as credible as SocialBlade then this information is about as accurate as what my cat could guess. SocialBlade give a stupid range like Mystic Meg's lottery predictions "tonights winner will be either a man ..... or a woMaaan!". Yeh thanks for that! And said site overestimates my earning by hundreds! I agree with you on the highly edited part about Jontron, which I am so pumped that he is back, but Fitz put's more effort in his video then you might think, but it doesn't come from the editing department. It comes from the jokes department. He records around 20+ hours for each video and has to sift through that to get the clips that he wants. I would estimate around 40+ hours go into each video, which actually matches up with his upload schedule (very loose use of the term schedule". This is amazing! I’m interested to see how this will change for 2019. I mean, we already see some YouTubers slowly declining (in terms of exponential growth). 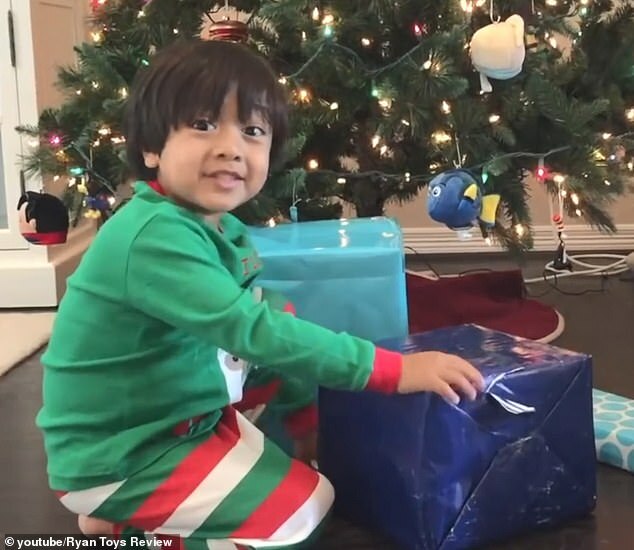 Know most of them except RyanToys lol, not surprised he earn the most considering there is so many young kids with phone that like to watch this kind of videos. It such a shame both Logan brothers in Top 10. Guessing their fans will watch whatever crap they put even though the Paul brothers doesn't care much about their fans.